Most people find it difficult to organize thousands of files stored on their computers in a clear way. So do I. Without a system, it often becomes problematic to me to find a particular file on my PC, especially since a directory contains a large number of unmanageable items or I don’t remember the exact name of a needed file. 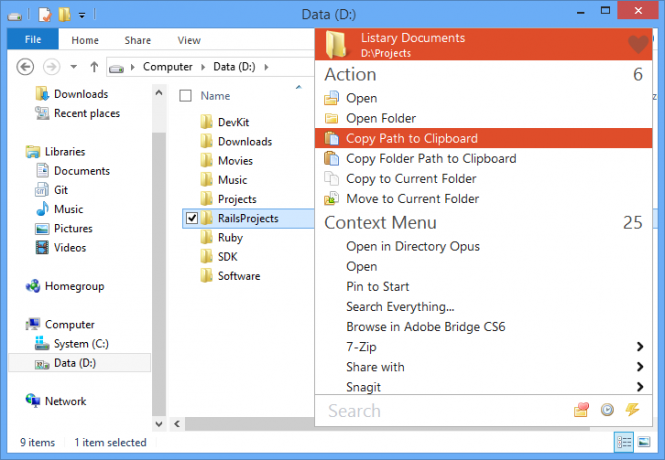 This is where a desktop search utility usually comes to the rescue, but the default Windows Search app locates files too slowly and doesn’t provide a variety of settings. In this article, I’ve decided to present you with the most interesting alternatives to the Windows Search tool that work fast and flawlessly. The program with the most ambitious name on our list isEverything. It is free, portable, quick, and really great. 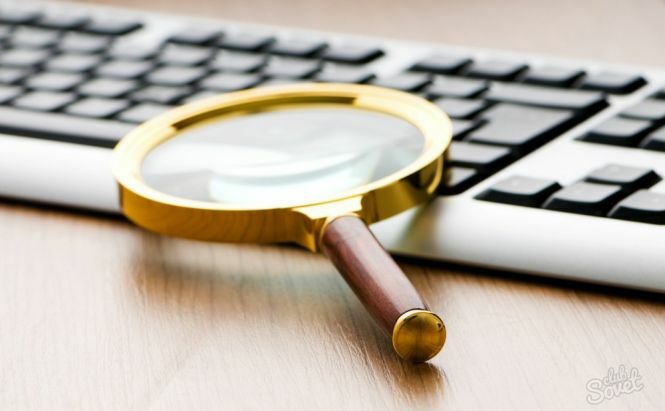 Developed almost seven years ago, this desktop search utility stays highly competitive among other alternatives to Windows Search and provides the most convenient way to find files and folders by their names on your computer. Due to scanning your files on the very first launch, Everything creates its owndatabase of the files’ indexes which in turn helps the program spend less than two seconds to display the search results. Moreover, Everything is equipped with truly advanced search options. You may set the tool to match a case, match a path, match a whole word, match a diacritics, etc. while looking for a file. Or you may use somesyntax symbols to specify your search inquiry, for example, whether you search for two words together (x and z) or separately (x | z), whether you want to exclude something from the list (!y) or want to find everything that starts and ends with needed letters (a*e, where * any number of any type) or just look for the exact phrase (“qwerty”). Everything is possible with Everything! Include spaces in a search string, search for file types, find a file in a specific location and much, much more. Also, I cannot but mention that the program is absolutely free. UltraSearch is another decent program for an instant search, that, importantly, is being developed by a reputable software company, JAM Software (see also TreeSize Professional). In comparison to Everything, the UltraSearch utility does not store indexes of your files in its database, but attains its great speed by working directly on the Master File Table (MFT) of the NTF system. MFT is a special entry that contains all the information about a file, including its size, time and date stamps, permissions and data content. It even identifies NTFS hardlinks (directory entries that associate names with files and folders). And what makes two programs similar is their support of regular expressions (the use of syntax symbols): with UltraSearch you can also find file extensions, exclude certain folders, sort the results according to certain criteria, use wildcards. 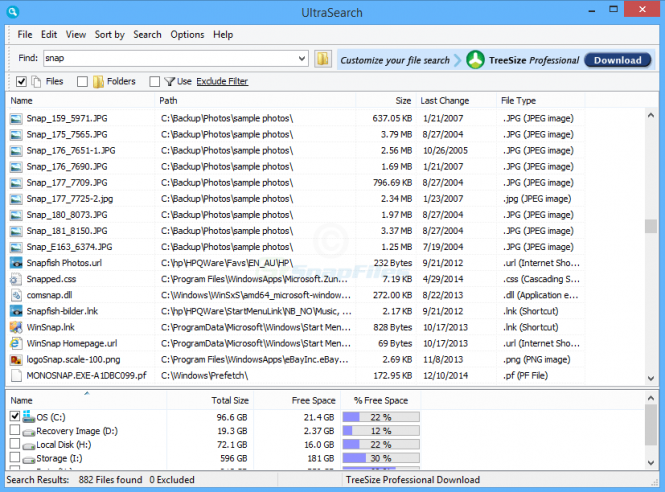 UltraSearch is a freeware program as well. One of its advantages is that it can show the additional information of a file and export the search results to several types of files: RTF, HTML, CSV andExcel. The possible drawback of UltraSearch is the banner in the program interface advertising the download of other software by this developer. If minimalism is what comes first to you, thenListary as a simple and elegant search utility for Windows will definitely satisfy your taste. There are different ways to start and complete the search process with Listary (the Favorites and History search, the Fuzzy Navigation, the Projects search, and others), but the easiest and the one that is set by default is called ‘Find as you Type‘. 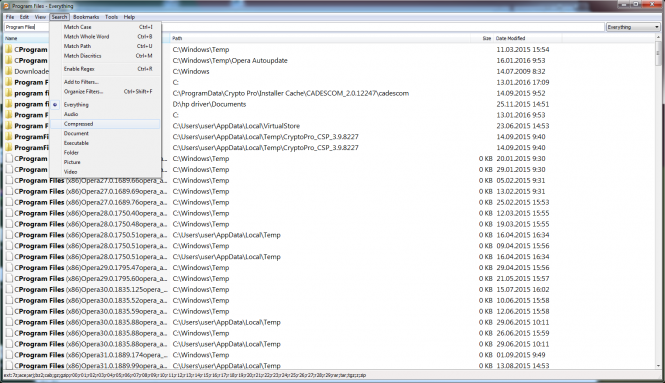 This feature is designed to recognize suffixes, prefixes or other parts of any files, folders, drives, or apps anywhere in Windows Explorer or in programs like 7-Zip, Total Commander, XnView, etc. The results are instantly shown next to the Listary’s search box. As you type, the application brings up a menu with the results, which you can browse using the up / down keyboard arrows. By clicking or pressing the Enter button, you can quickly open any file. The right keyboard arrow over a file activates the context menu. Another way of activating the search function is using the key combinations like Win + S or Win + W. This feature works both under the file managers and open / save file dialogs. The free tool Listary also comes with dozens of configuration settings to customize the search engine to the full. In case you want to go further in personalizing your computer, study the article on how to get rid of default apps in Windows 10.